HighCoordination is a leading business intelligence, analytics and performance management consulting company with headquarters and several offices in Germany, Switzerland, and other locations in Europe and North America. HighCoordination specialize in creating innovative and interactive ways to analyze your business data. We are strong advocates of the International Business Communication Standards (IBCS®) and we have many years of experience implementing solutions across a range of industries including automotive, pharmaceutical, industrial engineering, aerospace, manufacturing, and banking/financial services. We are owner-managed and stand behind what we say and do. 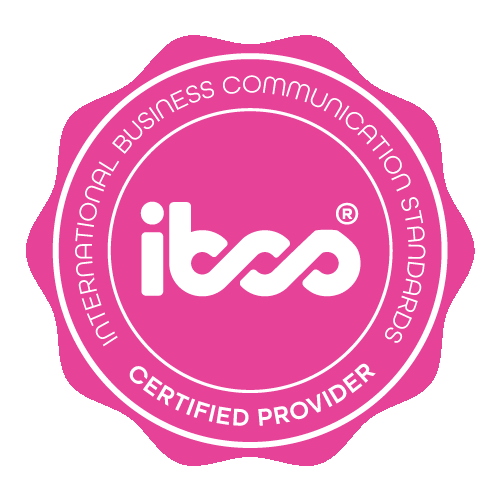 HighCoordination became IBCS® Certified Provider in August 2018. At HighCoordination we believe standards and best practices are the key to creating scalable, enterprise-class solutions to solve business problems. And that’s why IBCS® is a core pillar we use to design efficient, easy-to-read charts, graphs, KPI dashboards and other data visualizations. Our experienced team, led by several IBCS® Certified Consultants, all understand, practice and leverage IBCS® fundamentals in any projects they do. Our leadership team includes multiple founding members of the IBCS Association, and our support and advocacy for IBCS® remains as strong today as the day we discovered Professor Hichert’s SUCCESS principles over a decade ago. A key issue in effectively implementing IBCS® is the technical limits of commonly used BI tools. That’s why HighCoordination has developed trueChart, our enterprise-class solution to enable IBCS® across multiple platforms. Our trueChart solution integrates with most industry-leading BI technologies including Qlik, PowerBI, Jedox and Excel, and any platform with an open API. trueChart allows our consultants (and yours) to build IBCS®-compliant charts and graphs and provide robust, scalable solutions for small, medium and large enterprise environments. The following IBCS® Certified Consultants lead our experienced team of consultants, who all understand, practice and leverage IBCS® fundamentals in any projects they do. Ralph Ginzinger is Co-Founder and Managing Director of HighCoordination Switzerland, the Swiss branch of a leading analytics and performance management consulting company. Benjamin Gnädig works as a Lead Consultant in the area of Microsoft Business Platform at HighCoordination GmbH, a service provider for Analytics with his own, platform-independent and IBCS®-certified software trueChart. Philipp works in the position of a Lead Consultant at HighCoordination, a leading analytics and performance management company. Florim Mjekiqi works as Business Intelligence Consultant at HighCoordination GmbH, a service provider for Analytics with his own, platform-independent and IBCS®-certified software trueChart. Michael Schwan is Managing Director of HighCoordination, a leading analytics consulting company with its own platform-independent IBCS® Certified Software product trueChart. Christoph Walter works as Business Intelligence Consultant at HighCoordination GmbH, a service provider for Analytics with his own, platform-independent and IBCS® certified software trueChart. HighCoordination implements BI projects and develops the IBCS® Certified Software ‘trueChart’ to represent professional business charts and tables applying the IBCS® Standards.